This type of insurance is receiving more media coverage lately, but it's probably a policy you can do without. Mortgage life insurance is a policy that promises to pay your mortgage payment in the event you become disabled or die. If you're married this sounds like a pretty good idea, right? Well, not exactly. This type of policy really only overlaps with your existing insurance policies that you hopefully you already have through your employer or through a separate policy (remember the list of insurance everyone should have?). 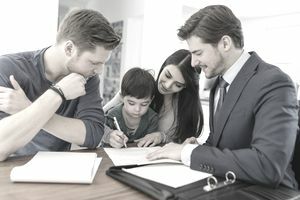 In the event of death with a standard life insurance policy, the beneficiary of the policy receives the benefit that can be used for any expense they choose, including paying off your shared mortgage. Travel and flight insurance policies offer another type of coverage that may require you to pay a premium for insurance that could overlap with coverage or benefits you already have. Before you spend money on travel insurance, check your current health and life policies to see how accidents or injuries during travel or flights are covered. More than likely there's some sort of coverage included. And in the event of a catastrophe, your life insurance policy should cover you if you pass away while traveling.